With a wardrobe that orientates around a versatile edit of separates that feel both wearable and cool (and no, I’m not going to talk about “age-appropriateness”), Tracey’s style skills are all about inventive layering and directional twists on classics. But out of her considerable clothing collection, there is one item that gets more airtime than all the others, and that is the boilersuit. 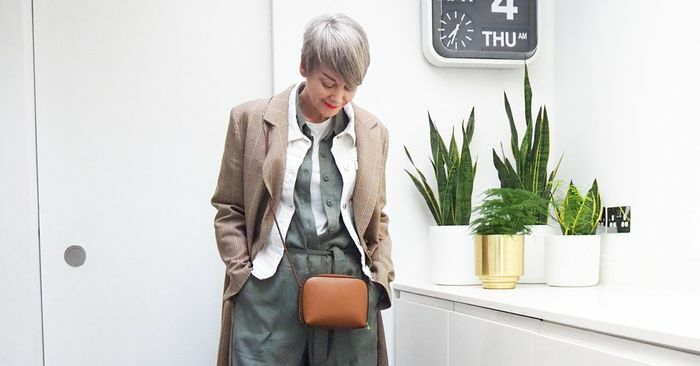 Fast becoming her signature look, a large proportion of Tracey’s outfits are made up of utilitarian jumpsuits in every color and silhouette you could imagine (she even has an Instagram Story highlight dedicated to the trend). Needless to say, she has become an unending source of style inspiration for the team here are Who What Wear. Because we thought it would be unfair of her to keep all of this excellent boilersuit knowledge to herself, we decided to put Tracey’s obsession to the test and challenge her to wear a boilersuit a day for a week. Of course, she did not disappoint. From Marks & Spencer’s sellout style to La Redoute’s red showstopper, scroll down to see Tracey’s boilersuit edit.